We have invested extensively in our digital printing facilities and now have one of the most advanced large format printing businesses in the North. This means that we can produce very large banners, posters, and hoarding boards quickly, efficiently and to the highest standards. Because we have our own equipment in-house (not just printers but digital cutters too) we have complete control over all aspects of our clients’ orders. Our design, production and installation teams are very talented and extremely knowledgeable but more importantly, they are focussed on making your printing project run as smoothly as possible. 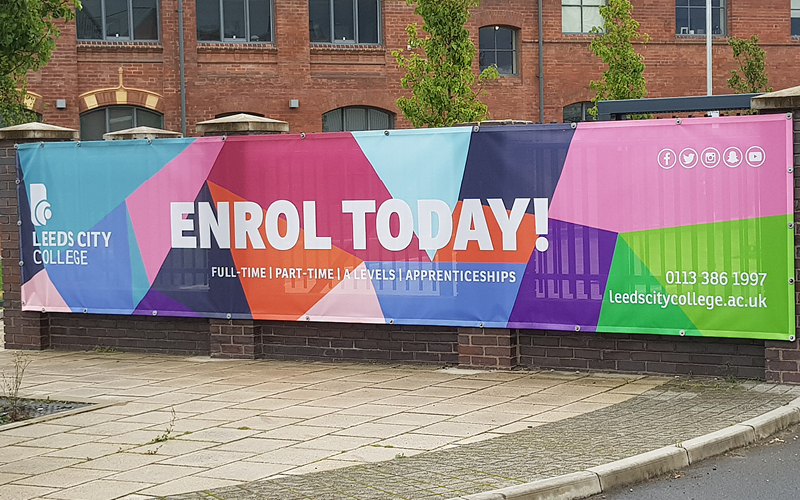 Whether you require one very large PVC banner to promote an event, hundreds of shop window posters or continuous perimeter site hoardings, CSDPrint has the technology, know-how and project management skills to do it. We will help you select the best format and materials whilst doing our best to maximise your budget. The commitment we have made to large format printing has transformed our business; we’d love to show you just what we’re capable of. All of our large format printed products are made to last. We use only the best materials including Correx, Foamex, Dibond, self-adhesive vinyl and contravision vinyl.